Here we are: 24th December, last day of our Calvendo Advent calendar 2016. Say hello to this wonderful Japanese Kokeshi doll version of Father Christmas in our author Capucine’s delightful A Year of Kokeshi wall calendar – whimsical illustrations of this old Japanese tradition of handmade wooden dolls. 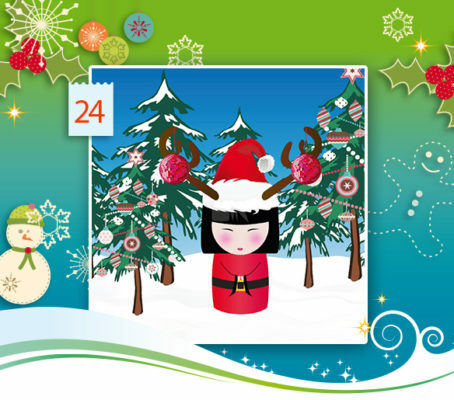 Thanks everyone for joining us on our Advent calendar journey for the past 24 days! Wishing you all a wonderful, peaceful and joyful Christmas with family and friends. Take care of yourselves and only the very best for 2017!